In search of a cute way to carry your little belongings? 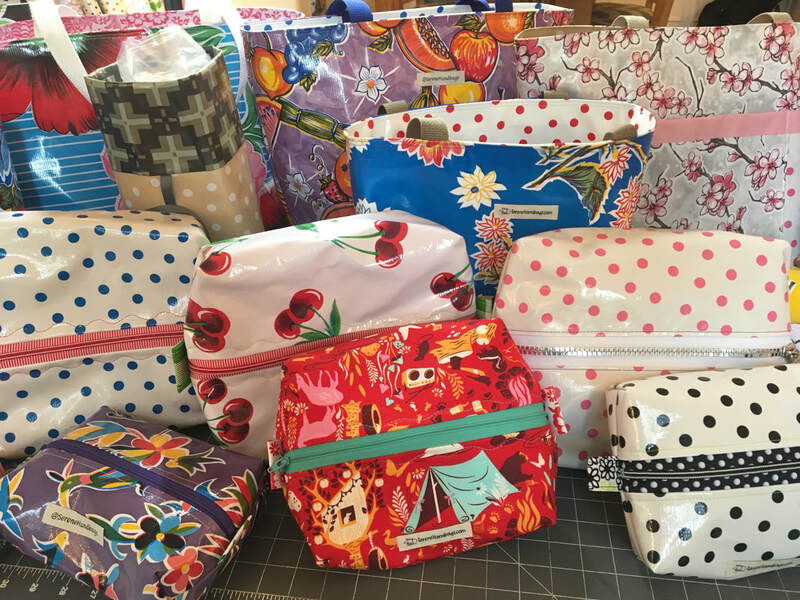 Makeup bags and box pouches are just the thing. Have you ever had to set your makeup bag on a wet counter? No problem here. 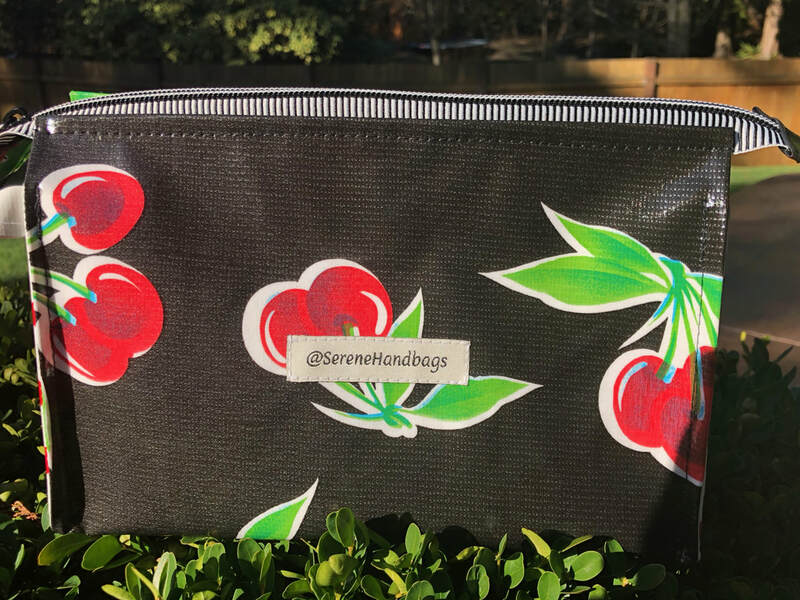 Each Makeup Bag is constructed of oilcloth inside & out, allowing you to wipe up any powders or liquids that may have spilled or dry off the outside when accidentally placed on that wet countertop. I took mine camping in Yellowstone and never worried about a KOA's bathroom counter! Another option for your goodies is a box pouch. I create these either from quilters cotton or oilcloth or any combination therein. I may have one of these in every car, every bathroom and every purse or bag I carry. There is one for kid's Epi-Pens, a small one for miscellaneous purse items, a medium size for my husband's travel adapters & cords, depending on which country he is visiting, even a large one for each kid's swim team googles, swim cap, sunscreen, shampoo, you name it! 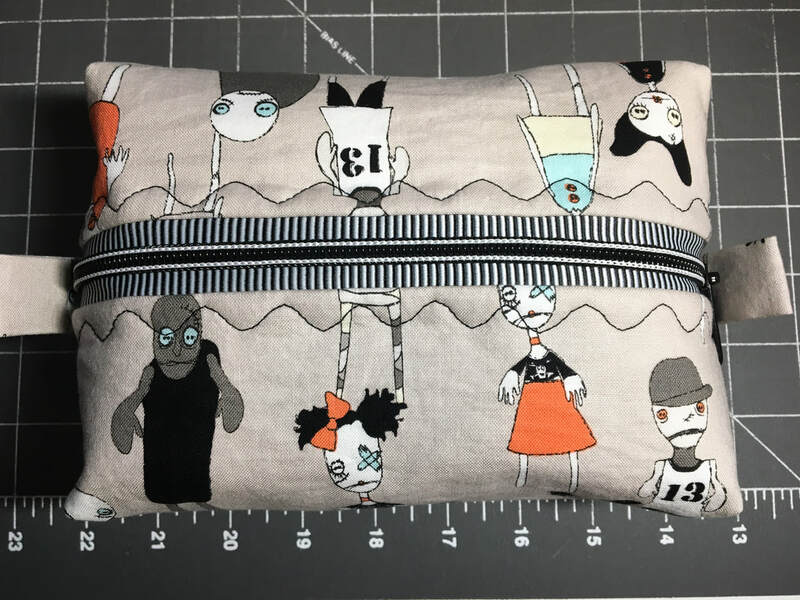 Pouches come in large, medium, small, even extra small.